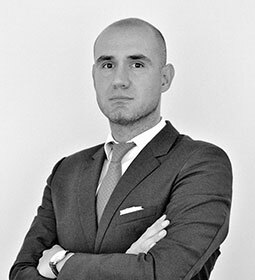 Mr. Bertrand-Galindo concentrates his professional practice in International Transactions and Foreign Investment, Tax Law, Corporate Compliance, Litigation and Arbitration, Indigenous Law, Communities and Human Rights. He has represented various local and foreign clients in the development of their projects in Chile and abroad, including companies in the mining, banking, energy, food and technology sectors, as well as union associations and non-governmental organizations. He is currently a member of Chile’s Legal Team before The Hague International Court of Justice in the Maritime Dispute Case with Bolivia. Mr. Bertrand-Galindo is professor of Conflicts of Law at Pontificia Universidad Católica de Chile. He has also lectured at the Diplomatic Academy of Chile, Universidad Adolfo Ibañez and Harvard Law School, where he has also been a visiting researcher. Ministry of Justice, Government of Chile. Ministry of Foreign Relations, Government of Chile. J.D., Pontificia Universidad Católica de Chile, 2004. LL.M. Harvard Law School, 2008, Fulbright Scholarship and Mayer Dana and Etta Dana Harvard University Scholarship. S.J.D. Washington College of Law, 2014, Fulbright Scholarship.